With so many distractions already waiting in the line when you are working with your computer, you need a tool to make everything organized. Todoist is one of such tools you can use. It is one of the best to-do list apps around today. It has a simple interface but so much powerful in helping you get things organized. You can use Todoist whether for personal task management or for a teamwork. The tool allows you to add tasks and set the due dates as well as reminders on them. That way, you will never miss any tasks you are supposed to do. Todoist is available in a wide range of platforms. From desktop, web and mobile. Unlike tools like Trello and Asana which tend to more complex, Todoist only focuses in helping you organizing tasks. The tools with similar functions are Any.do and Wunderlist. 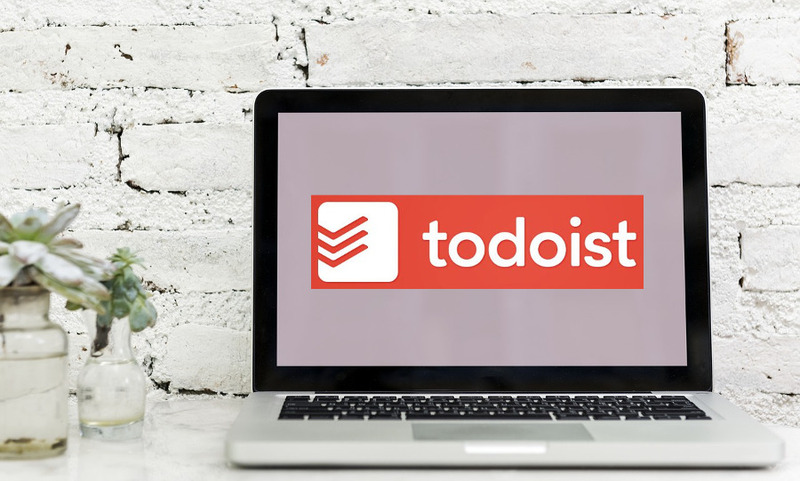 If you haven’t used Todoist and is planning to use it, following are some points you need to know about the tool. The major function of Todoist is a to-do list application, but you can also use it to manage projects. In fact, there is a term in Todoist called “project”, which you can use to organize your to-do lists. By default, Todoist comes with five preset projects: Personal, Shopping, Work, Errands and Movies to watch. You can delete all those default projects if you don’t like them. When creating a new project, you can use different colors to visually differentiate each project based on the parameter you can set yourself. For instance, you might want to use the color of green on job-related projects, while for personal projects you can use different color, like yellow. Each project can has sub-projects and you can add to-do lists (task) on them. Each task can has sub-tasks. You can also set the due dates as well as reminders on each task to ensure you get it done on time. One of the nice things from Todoist is that it has a bunch of shortcuts to save you time. For instance, you can use the “t” button to add a new task and the “#” button to insert the task you are creating to a project (visit here to learn more about Todoist shortcuts). Todoist also allows you set a priority of each task you are creating. The feature is useful enough to filter the tasks, much like color for project. You can also add supporting materials on each task if you want it, like notes and files. The comment feature is useful enough to discuss a task you assigned to your team members. One thing to know, these features (note, comment and file attachment) are only available for premium users. Another premium only feature is reminder. A to-do list app like Todoist won’t help enough unless it offers a mobile app for smartphone. Fortunately, Todoist realizes it. As mentioned above, Todoist is available for a wide variety of platforms. For the desktop platform, Todoist is available for macOS and Windows (Linux users can use the web version to access Todoist from desktop), while for mobile platform Todoist is available for Android and iOS (iPhone and iPad). In addition, Todoist is also available for Apple Watch and Wear OS-based smartwatches. Todoist is also available as an email plugins for Gmail and Outlook to enable you easily turn an email into a task. The availability of Todoist app for all major platforms will make your life get easier. You can add new tasks from anywhere and mark it as a finished task from anywhere as well. You don’t have to stick with a single platform. That is how a to-do list app supposed to work. Have a team? You can also use Todoist as a collaboration tool with your team members. 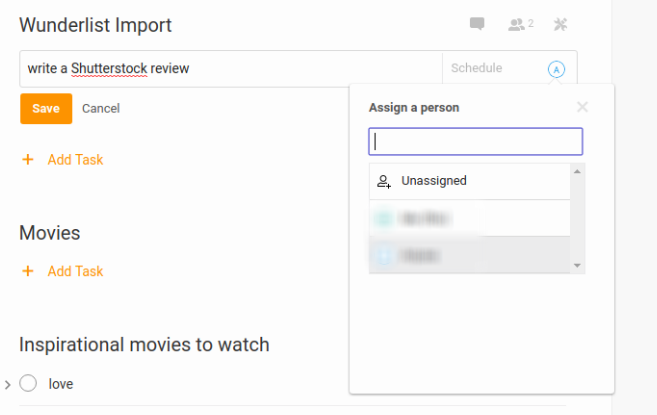 More specifically, you can use Todoist to assign certain tasks to your team members. Before being able to assign a task to your team members, you have to invite them to a certain project first. The team members you want to assign a task to should be the member of the project of where the concerned task belong to. For instance, if you want to assign certain tasks on the “Work” project, you have to invite the team members you want to assign the tasks to, to the “Work” project. You have to do the same for all projects containing tasks you potentially want to assign to them, even for a sub-project. A bit hassle, but that is how Todoist works. You can invite your team members via email and they have to create a Todoist account to work with you, which might a bit too forcing. A useful feature offered by Todoist when it comes to teamwork is “activity log” which enables everyone on your team keep informed of progress. However, the feature is only available for the premium version of Todoist. The teamwork features of Todoist are available for all users, including free users. If you don’t enough with them, you can also use the Todoist Business plan, which costs $3 per user per month. Todoist has a unique way to help you stay motivated to accomplish more. It has a feature called Karma which you can find at the top bar. Karma is a small report showing your productivity this week based on your color-coded projects. The more tasks you get done within a week, the higher Karma score you will get. Karma gives you indication of how you spent your time working on the projects that you have decided should be the priority. Todoist itself has a very simple interface that is extremely easy to use. By default, it comes with a red-white color combinations, but you are given a chance to change its default theme through the Settings menu. Premium users will have more theme options. In order to get the most out Todoist you can also integrate it with the services you are currently using. For example, you can integrate Todoist with Gmail to effortlessly turn an email into a task. Another nice example of Todoist integration is with Momentum, which brings your Todoist tasks to a browser tab. Todoist itself comes with two preset of integrations with Dropbox and Google Drive to allow you attaching files on tasks. The complete list of Todoist integrations can be seen here. Todoist adopts a freemium business model. While the free version of Todoist gives you a good enough experience, the premium version will give even mnore. You can unlock features that people with productivity on the brain will want to use. Some features that are only available for Premium version are note, comment, reminder, activity log, premium themes and so on. The premium version of Todoist costs $28.99/year. It doesn’t offer monthly subscription option. The good thing about Todoist is that it allows you to use its service for unlimited devices, while some competitors like Any.do only limited to a single device for a certain package. Todoist is undoubtedly a great productivity tool to help get things organized, from personal errands to job-related tasks. It comes with a simple enough features, but useful enough when it comes to organizing tasks. Todoist is great if you need a to-do list app which you can access from across devices. It also has an interesting premium package, although it would be nicer if it had a monthly subscription option so you can switch away anytime you find Todoist doesn’t suit your needs anymore.